The worse thing is that we don’t have automatic traffic-lights along the city intersections and highways to regulate the flow of vehicles and those measures we have in place to ensure road safety do not seem to hold water for our reckless drivers. For instance, we have traffic signs clearly put up near schools and hospitals indicating to the drivers to slow down their cars but it’s very rare to see people following the signs strictly. Every morning, we see school children standing along the edge of roads constantly looking at their wrist-watch as they anxiously wait to cross over to the other side on their way to school. But how many people really stop their cars and let them cross the road? How many people are really concerned what if a child gets late to school because of the traffic? It seems people are only determined to get to their destination on time. In the process, they don’t even mind breaking some of the traffic rules. The narrow road coming down from the Swimming Pool junction towards Thai pavilion is a one-way street: the cars can come down only from the Swimming Pool junction. But I often see some cars going up although there’s a clear sign indicating that it’s a one-way road. It seems people are following the traffic rules only when they know there are traffic police on duty. I sometimes feel many drivers seem to follow the traffic rules just for the sake of traffic police and not for their own and others’ safety. We really need to change this mentality and attitude in our society. I feel that the respect for the pedestrians in Bhutan is very low. As you walk along the road on a rainy day, it’s common that cars will speed past splashing the rainwater onto you and yet you would get no apology from the driver. You might have also noticed that while you are waiting to cross the road, some cars often increase their speed instead of slowing down although they have seen you waiting to cross the road. Even the Zebra Crossings which are supposed to give extra right of way to pedestrians serve no purpose in Bhutan. 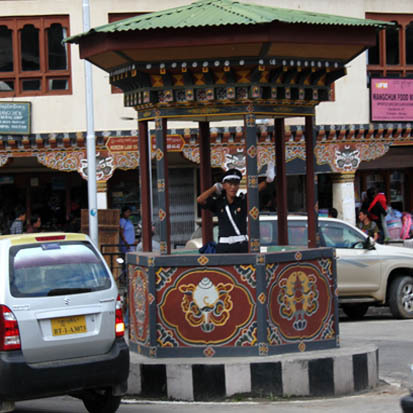 A couple of months ago, a van belonging to a local restaurant in Thimphu had hit a woman with her child at a zebra crossing on Doebum Lam highway. This shows that even zebra crossings are not safe for the pedestrians to cross roads. So where are we actually going wrong? Are all drivers not trained on traffic rules and the importance of public safety before they are given the driving license? 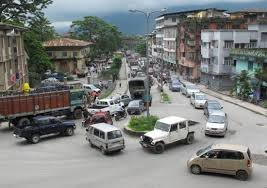 I feel until the Road Safety and Transport Authority (RSTA) comes up with harsher and more stringent penalties for reckless drivers, we won’t feel safe to walk through the traffic in Bhutan. The traffic police should do more than hiding in the bush with the speed-guns and temporarily seizing the driving documents from the drivers violating the traffic rules. Drunk-driving is another big issue. It’s really high time now that we start educating ourselves on these issues and contribute to the safety of all in the society. People say that driving is a meditation and if it is so, the one behind the wheel must carry out his or her duty with full concentration, respect, compassion and love.